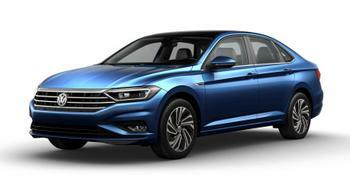 Volkswagen Group of America is recalling 73,545 model year 2018-2019 Volkswagen Atlas and Tiguan and model year 2019 Volkswagen Jetta vehicles that do not have keyless entry. The instrument cluster may not provide an audible warning to let the driver know that the key is still in the ignition when the door is open. If the driver is not notified by an audible sound that the key is left in the ignition, it can increase the risk of vehicle theft or crash. The recall is expected to begin January 18, 2019. Owners may contact Volkswagen customer service at 1-800-893-5298. Volkswagen's numbers for this recall are 90L3 and 90L4.